As some of you know I own a sixxes team in Northern CA (Nor Cal Red Hawks). For the 2010 season we played exhibition games and have two more games until I call it a season. I am trying to develop a division so we have other teams to play in our league that are actual six-man teams for the 2011 season, rather than 8 or 11 who have helped us during our exhibition season (which I greatly appreciated). The info below was taken from a new blog I set up just for our Divison Development. Currently we are helping with a Reno team. The Nor Cal Red Hawks, located in the Sacramento, CA area is looking for women’s six-man tackle football teams for Division Development in Washington, Oregon, California, Nevada and Arizona for the Independent Women’s Football League (IWFL). Contact the IWFL if your interested in forming a team or playing. They can direct you to team already starting in your area. SIXXES, is it REAL Football? Click HERE. Back on January 20, 2008, Meg, Nancy and I did an episode called Sixxes Talk. This was when the WPFL would be no more after finishing the 2007 Championship Game against the So Cal Scorpions vs Houston Energy. 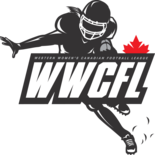 The remaining teams of the WPFL were moving to either the NWFA or the IWFL for the 2008 season. The IWFL was toying with the idea of restarting its 2005 Sixxes league (Texas Style Six-Man Football). Meg had decided to start her own Sixxes team and Coach Lee of the Las Vegas Showgirlz decided to sport a Sixxes team in addition to his Tier I team in hopes other full rostered teams would follow suit. Click HERE to hear a “blast from the past” WFB Talk episode. Sixxes, is it real Football? The IWFL is bringing back SIXXES, that was originally introduced to the IWFL as field for play in 2005 and 2006. In 2008, the league attempted to re-introduce it back, with only a few takers. This year with the harder economic times, the league is working to bring it back to help teams that still want to play football, but cannot afford the Tier I/Tier II budget, travel or roster size that those tier levels require. Personally, I have always loved the idea of SIXXES. I have put in an application to have a team in the Greater Sacramento area, in support of the teams already in this area. Today on the show, we will discuss SIXXES and speak with Deb Midgley, owner of the Holyoke Hurricanes, who had to finish out her season playing a Six-Man style tackle football due to the injuries of her team as well as take two forfeits to end her season early. Check out these videos of what Six-Man Tackle Football is all about. Could this be for you? General – is it real football? Tune in today at 3pm(pst) at www.wfbtalk.com. Stubbs Cycles as they host their annual “Open House”, Saturday, March 15th. The expected number of bikers is estimated to be 1,500. Causing Havoc Everywhere We Go! There is a $30 fee that will get you a shirt with our logo and an opportunity of a life time! If you can’t make this one, but still want to tryout contact Meg. I just got off the phone with Meg. She just sent me the logo for the SouthLand Gladiators Sixxes Football Team. She said that the SL G will be made a little bigger for the helmet graphic. She said I could give all of you a sneak peek. The SouthLand Gladiators are holding tryouts this Sunday at 10 a.m. For more details, go to www.southlandgladiators.com or email Meg at info@southlandgladiators.com. To learn more about the SIXXES go to www.sixxes.com.